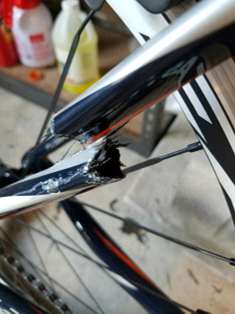 Using HyperSizer Express to sculpt the bike of the future with composites. Cycling is one of those rare modern-day activities which combines good-old-fashioned sweat and tears with some of the most state-of-the-art composite materials known to man. Creating an aerodynamically sound, lightweight, and of course good-looking bicycle frame can be quite the task. It’s also made more complex when in the quest for the ultimate featherweight champion the traditionally aluminum frames are replaced with new composite materials. These thin layers of carbon-fibre reinforced polymers allow for the creation of ultra-lightweight and highly durables frames, yet designing and testing becomes much more expensive thanks to the upgraded materials used. This is where Collier Research HyperSizer Express comes in, a suite of CAE software that allows for the design and optimization of composite (or metal) parts by helping determine and simulate the optimum thicknesses, ply shapes, angles, stacking order, material stresses, and much more. The software can of course be used for much more than the creation of bicycle frames, and has been used for aerospace stress analysis in everything from military to commercial, and even space-agency programs for over two decades. Other application examples include the creation of automotive parts, orthopedic prostheses, sailboats, aircraft wings, and even wind-turbine blades. HyperSizer Express is designed to help new industries including enthusiast bicycle manufacturing make use of advanced new composite material designs without requiring Boeing’s testing budget to make sure everything works as it should. The software requires no training or reading of long user manuals, and allows users to select their own materials, analysis method, and design criteria. It allows for the importing of an existing Finite element analysis model, which is automatically updated and can be exported to spreadsheets or into CAD as needed. As Stier pointed out, “virtual design with the latest software tools can shorten product development time dramatically.” Tools such as the HyperSizer Express allows a wide new range of markets to take advantage of high-end composite modeling and optimization tools without the need for specialized staff or expensive testing phases.